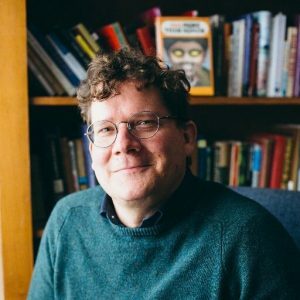 David Dark is the author of several books, and serves as Assistant Professor of Religion and the Arts in the College of Theology at Belmont University. His books include “Life’s Too Short To Pretend You’re Not Religious” “The Sacredness of Questioning Everything” “Everyday Apocalypse: The Sacred Revealed in Radiohead, The Simpsons, and Other Pop Culture Icons” and “The Gospel According To America: A Meditation on a God-blessed, Christ-haunted Idea”. His work has appeared in MTV News, Books & Culture, Pitchfork, and the Oxford American.